Posted 3 weeks ago by vivimzita. 101 views. Band members wanted in Rochester, Michigan, United States. This is something I have been trying to create for years but was always too scared to. I am 22 and looking for some great girls (singers, rappers, dancers) to start a group with. Wanted: Bass Player, Drummer, Guitarist, Guitarist - Rythm in Rochester, Michigan, United States. Posted 6 months ago by Les3000, 187 views. Wanted: Percussionist, Rapper, Singer, Songwriter, Producer, Vocalist - Choral in Lansing, Michigan, United States. Posted 5 months ago by CaneGirl, 299 views. 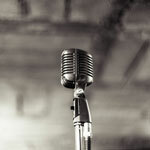 Available: Singer, Vocalist - Backing, Vocalist - Choral in Marine City, Michigan, United States. Posted 6 months ago by CaneGirl, 226 views. Wanted: Rapper, Singer, Songwriter, Producer in Marine City, Michigan, United States. Posted 6 months ago by Bree-Anna, 228 views.